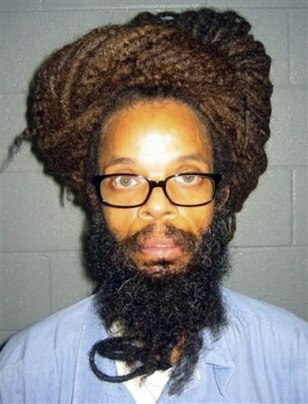 Rastafarian inmate Kendall Ray Gibson, at the Brunswick Correctional Center in Lawrenceville, Va. , shown in 2009. Gibson has spent more than 10 years in segregation because of his long hair. Several Rastafarian and other inmates who have been held in isolation for refusing to cut their hair are being moved to a prison where they can live together.